This is my first blog post on SCN. I don’t know if the members already know of this functionality but I was quite fascinated by this so I decided to share it anyway 🙂 . 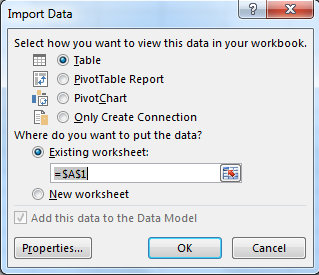 ==> Open MS Excel and create a blank workbook. 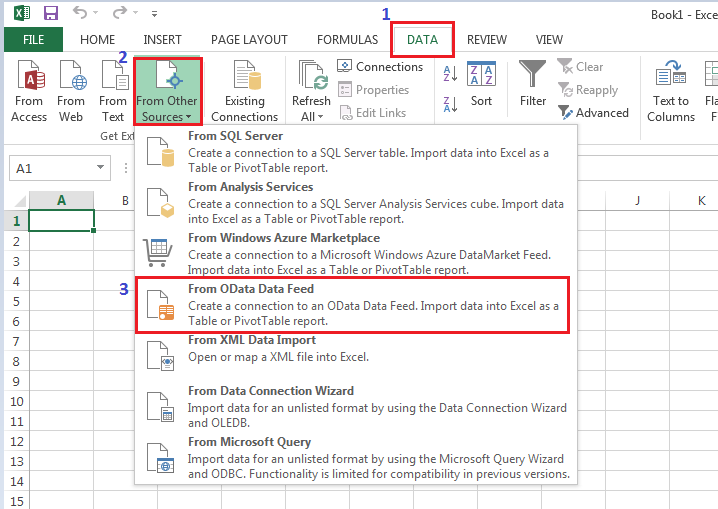 ==> The wizard will fetch all the Entity Sets contained in the OData service. Select the one which you want to download to Excel. I selected PersonDetails here. 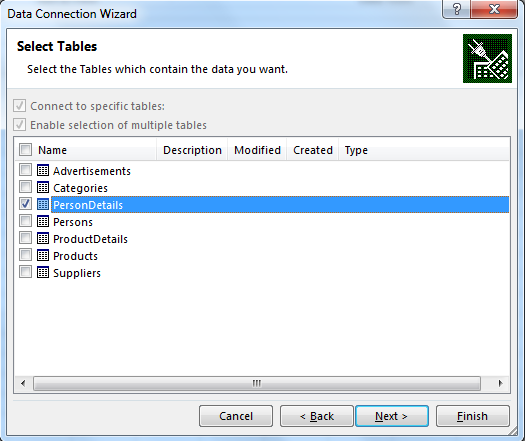 ==> Click Finish and you will be asked for how you want the data to be displayed in Excel. ==> Select table and click OK. Wait for some time while your data is downloaded. This functionality also works fine for HANA Exposed OData services (xsodata). Cool that you mentioned this option. There is actually a very cool tool developed by SAP for even better integration including the possibility to edit and save data, including conflict resolution for concurrent changes. It also offers value helpers for the end user. The bad news: SAP stopped selling it. The reason behind: wrong licensing model. SAP expected that customers pay additional licensing fees for each user. The name of the tool: SAP Gateway for Microsoft. It’s worth to take a look. Would still be a cool tool. SAP should just accept that customers will not pay extra money for it! I will surely have a look at SAP Gateway for Microsoft tool. 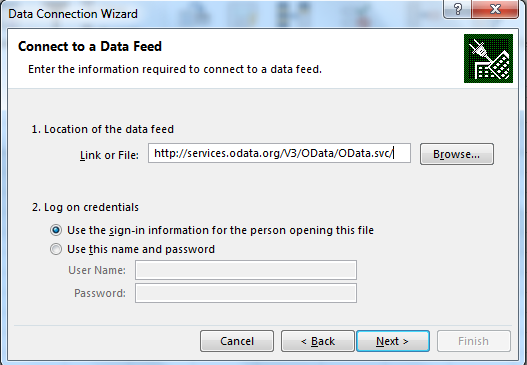 Hi Deepak – To access the data from the ODATA service to excel directly – how does the authentication process works ? do we need an Database user ? or an application user ID ? I used the procedure to get data from an SAP System. I used the same credentials that I use to log in to the system and it worked fine. So to your question, You can do it with an Application User ID.